Submitted by: Gaelle Berges, Vegetal i.D. 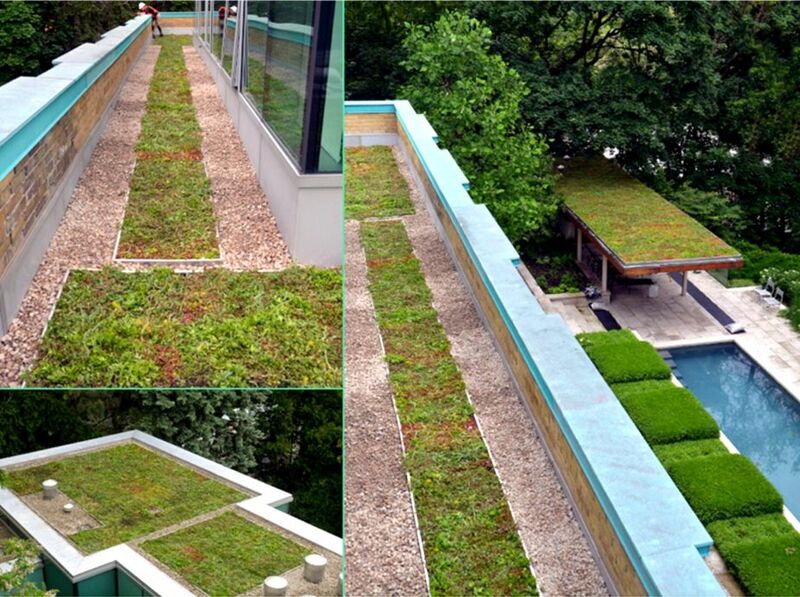 Architect: Paul Dowsett, Paul Dowsett Architecture Inc.
Green Roof Design: Vegetal i.D. Inc. & Paul Dowsett Architecture Inc.
Modular Green Roof System: HYDROPACK by Vegetal i.D. Inc.
"A carefully orchestrated synthesis of resource and energy-efficient additions, heritage restoration, and deep green retrofit to a Toronto Art Deco masterpiece. The Daniels' Residence is a symphony of 21st-century sustainability: taking advantage of the existing site orientation to maximize vistas and capture cooling breezes from the adjacent low-lying lands, harnessing passive solar heating and cooling, and a variety of creative reuse opportunities that presented themselves in the original structure," (Paul Dowsett Architecture Inc. website). Situated in the premier neighborhood of South Hill in Toronto, the Daniels Residence employs the following green features (and more): solar panels, high albedo roof, exterior solar shades, interior reflective light shelves, high efficiency replacement windows, re-use of existing materials, triple-glazed curtain wall, native plant species, local and/or recycled content, geothermal, rainwater collection, and a beautiful green roof. Originally built in 1935, this building was designed for Major-General D. M. Hogarth, a mining executive. When David Daniels (son of world class developer John Daniels) purchased the home for his family use, he immediately got to work re-imagining the property into a beautiful sustainable home with the help of architect Paul Dowsett of Paul Dowsett Architecture Inc. (SUSTAINABLE.TO). Through the combination of these efficiency strategies, the home was able to achieve a 35% reduction in energy use as well as rainwater runoff harvesting and mitigation on site. The efficiency standard of the building is, in part, thanks to the 2,228 square foot extensive green roof designed in collaboration with Vegetal i.D. Inc. 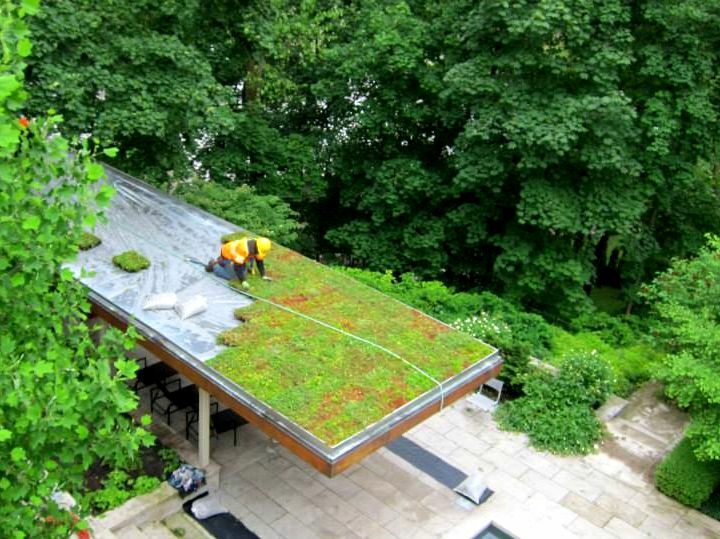 The Daniels Residence green roof uses HYDROPACK, a lightweight all-in-one modular green roof system from Vegetal i.D. that enabled easy installation and instant greening. 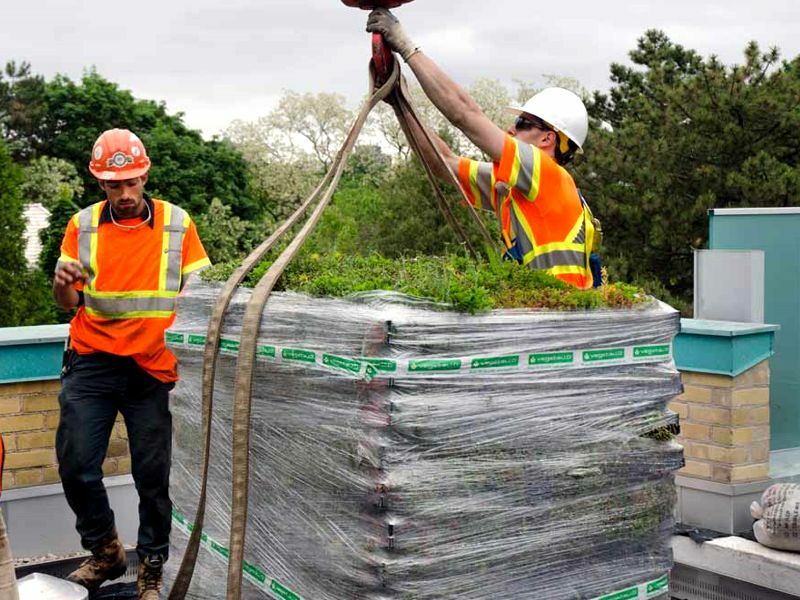 Shipped fully vegetated for an instant green roof, they are ready to be installed in a 10-day lead time, and the all-in-one design makes edging optional. This project is composed of five different green roof sections, which provide summer cooling, rainwater management and a beautiful green view from the inside and the outside of the home. 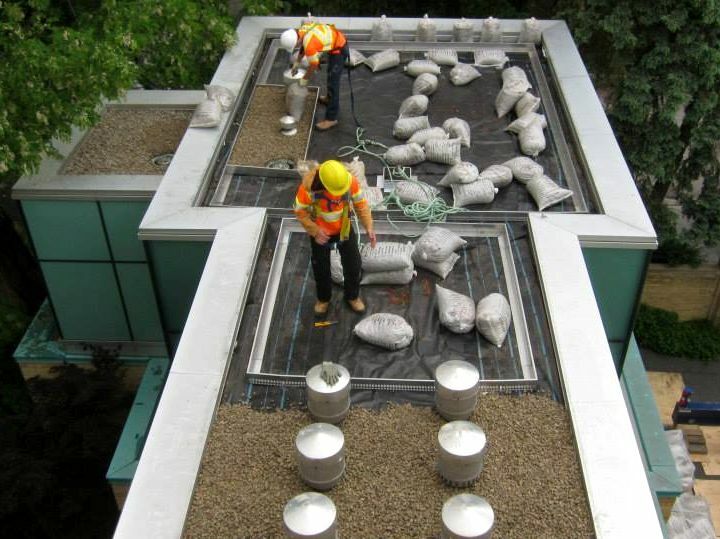 Excess rainwater from the roof and terraces is harvested into underground cisterns and used to irrigate both the green roof and the surrounding landscape. 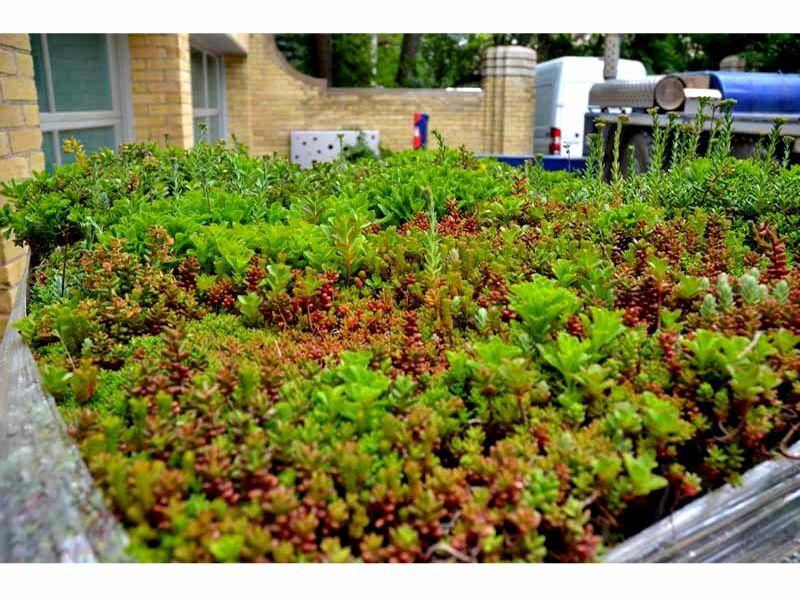 Remarkably, this relatively large residential green roof arrived on only one truck and was quickly installed by a team of five workers from Ginkgo Sustainability in only one day. 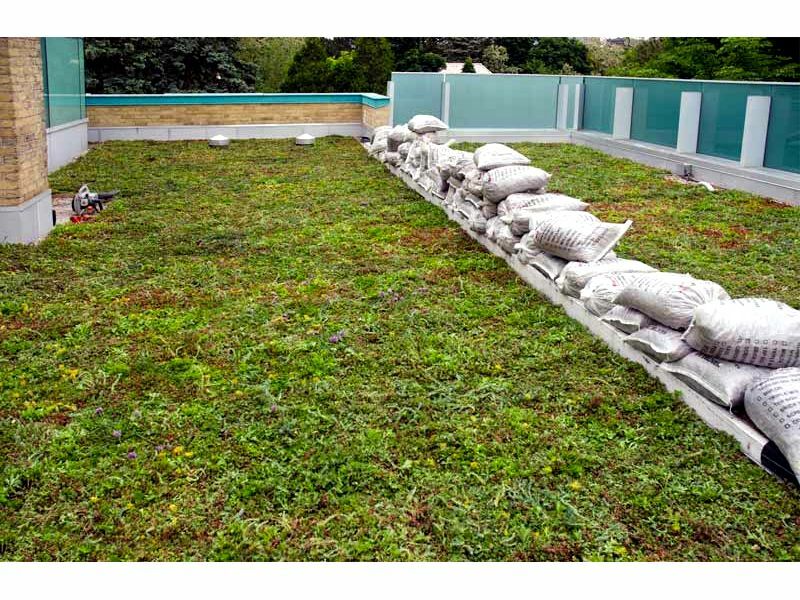 Each green roof section is composed of HYDROPACK Standard Mix, which is a blend of 30 species of succulents and herb species specifically chosen for their hardiness and drought tolerance. The roof experiences full sun to partial sun varying throughout the building.